If you’ve never been to Japan and anyhow trying to plan to visit there, lucky you because it’s 2019. Why? Because if it was 2016, then it would look more of a difficult task. At that time, you may be asked to show an invitation letter from the sponsor in Japan and also the applications used to be lengthy and as a result, got rejected. 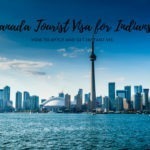 Well, an Indian passport holder still doesn’t get a visa on arrival but at least now, you don’t have to apply for the visa with the help of a local sponsor. The process has now become pretty effortless and you can get your things done in just 4 working days at VFS Japan. 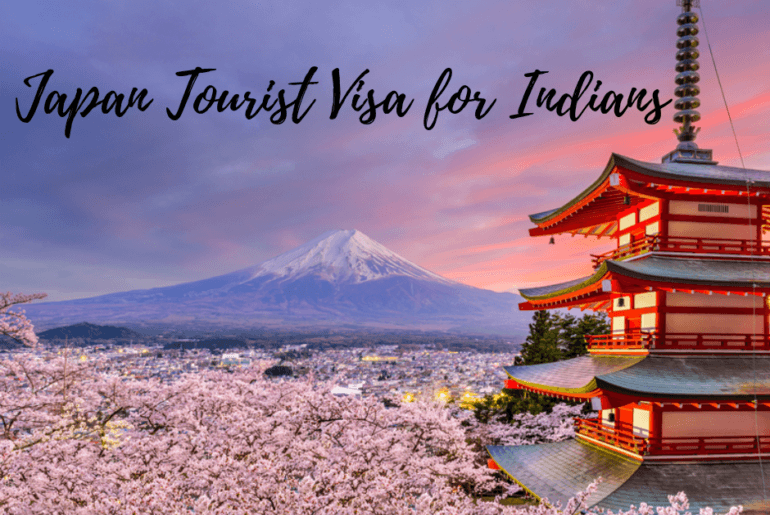 Here are your step-by-step guide and other information regarding Japan tourist Visa for Indians. Depending on your passport address, you can find the nearest Japan Visa VFS center for you. The authorities have set some strong rules, thus provide you with two options either give a full-proof address of your residence that means showing them electricity bill or property papers in your name or your relatives or landlord OR drive/fly to Delhi and get your work done. This is the section where you need to post the application through specific Blue Dart centers and there are a few second-tier cities with these centres from where you can courier your application. Officially, it will take 2 days longer to get the process done and make sure you send all the documents exactly the way they have mentioned on the website. 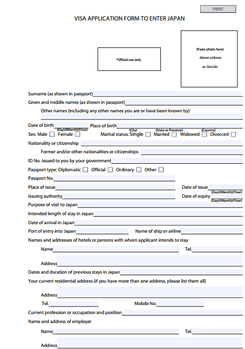 The best part about Japan’s application is that it’s relatively short and be sure that you fill all the sections. While filling out the form, you’ll see a section ‘Guarantor/ Reference’ in Japan, where you need to write down the address and contact details your first place to stay in Japan. One thing you should always keep in mind that the Japanese embassy and then obviously Japan VFS centre is really particular about the size of your photograph that should be 2×2 inches and your face should be clearly visible. 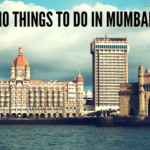 If you’re applying from Mumbai or Delhi, they already have a photo booth, so that you can get the exact picture required but it will cost a bit more than you do the same outside. 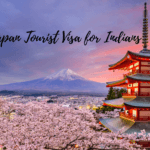 While filling the Japan Visa application, it’s really important to attach the cover letter and that should include your travel dates and purpose of visiting Japan. Also, if you ever hold visas to any other country like Europe, Canada or Australia, mention them as well in your letter because it makes your application much stronger and especially as an Indian. Like any other visa application, you need to show the confirmation of your flight and hotel bookings but that can be risky. Thus, make sure you book where you can get a total refund upon cancellation. For all the Indian passport holders, it is important to show their current 3-month bank statements, income tax return of the previous year and other helpful financial documents. In case, your bank balance is low, you can show them the summary of your fixed deposit or maybe you can ask your parents to add some money in your account for a temporary purpose. Indian citizens need to a little amount of INR 440 along with service charges by VFS Japan, for single and multiple entries as well. However, you may not find this information on the website but you need to submit 3 years of the income tax return for the eligibility purpose if you’re applying for multiple-entry. To file the Japan visa application, you don’t have to make an appointment at the VFS centre. But an important point to remember that no electronic device is allowed at the centre, be it a laptop, camera or any other item. You can take your phone with you but that has to be kept switched off. Thus, to stay away from any sort of security hassle, try to carry only your documents and phone with you. Well, there’s an option available to receive your application through the courier service but if possible, try to pick it up in person. Also, you can easily track your application form. 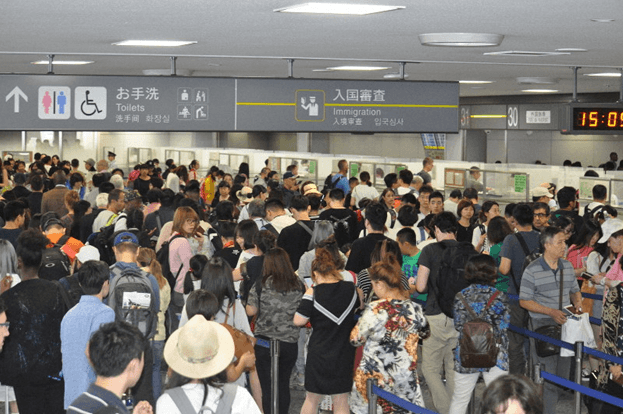 Although, entering Japan with your tourist visa would be quite easy and anyone would barely ask any question before being stamped in. There are possibilities that while check-in, your airline might ask you for your return flight ticket, so try to keep the ticket and hotel booking handy. CRecently, I was going through different treks in India to see which one would be the best for my next vacation. After around half an hour, Churdhar peak trek got my attention, which is the highest peak of the outside Himalayan range. 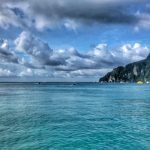 After reading a lot about the place, one thing I was really sure that the place would be one of the best places to experience nature’s best version. It is situated at a height of just under 12,000ft and is also called as Chur Chandani that means mountain in the bangles of snow. Trust me, the place was exactly the same I read about. 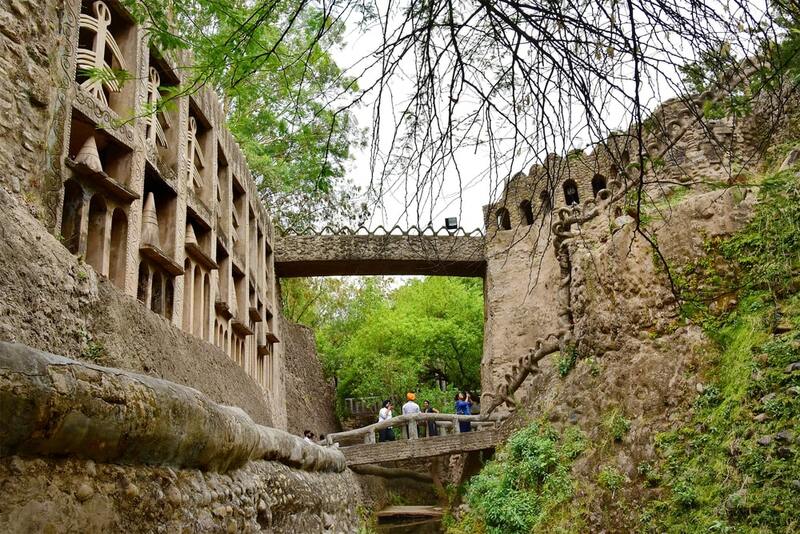 And why not, Himachal is undoubtedly one city that never disappoints you with its natural beauty and elegance. Churdhar allows its tourists and visitors to see beautiful snow-capped ranges and peaks of Kedarnath and Badrinath. 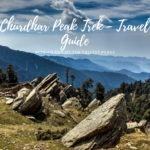 Also, the best time to take up the Churdhar Peak trek is from May to November except monsoons. 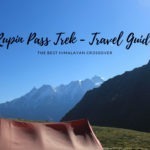 So, if you ever plan to be on this trek, here’s the day-to-day itinerary to help you out in making most of the trip. 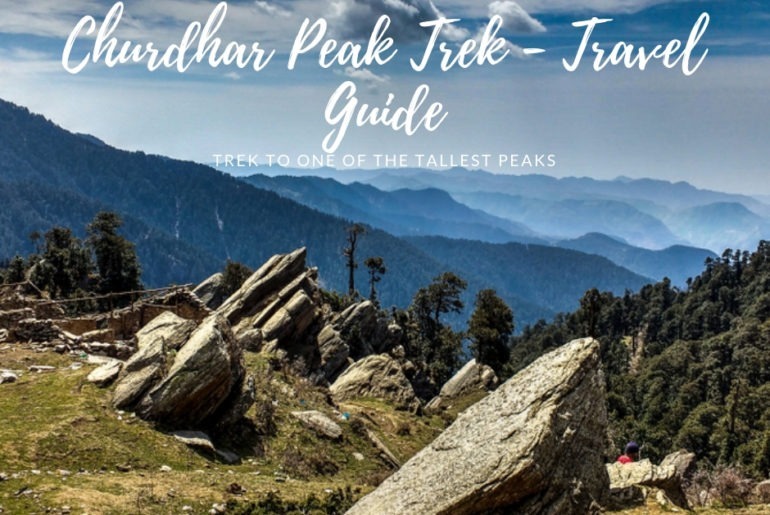 The first day of trek asks you to take the bus from the Chandigarh bus stand by early morning and head towards Nauradhar. It’s a journey of around 4 hours from Chandigarh to Nauradhar and once you reach there you can try out some shops to buy any kind of essentials. Now, the trek will begin from the center of the town. The first 1km of the trek is quite steep through the muddy terrain but after this, you’ll get an easy incline through pine forests until Jam Nallah. This will be the campsite for your first day. The trek for your first day will take around 4-5 hours and the total distance it covers is 7km. If everything goes smooth, you can reach Jam Nallah by 3 pm and you can do camping just ahead of this place and the best part is that the campsite is fully surrounded by pine and cedar trees. Your day 2 is going to be a little exhausted and tiring, thus you need to start your trek by 6:30 in the morning. Start from Jam Nallah and head towards Teesri, which is a 5km trek and will take around 2.5-3 hours. This first part of the day passes through the forest and is the easiest part. Your mind will be definitely blown by the silence around you, the exotic fragrance of the forest, and the mud that brings peacefulness to the surroundings. Teesri is considered the windiest place of this whole trek and you’ll only find a few tea places at this little town. Now, you can move to the temple from Teesri, which is just a 2km trek. Once you cross Teesri, you’ll see the trees slowly begin to disappear because you pass the tree line. After you arrive at Chureshwar temple, have your lunch there. In order to reach the Churdar summit from the temple, remember it will take 1 hour for every 1km because of the steep sections. Beautiful vistas on the way and the top will totally leave you spellbound. The most special thing about this day is you can see a 360ᵒ view of different Himalayan ranges that includes, Srikhand Mahadev, Kedarnath, Badrinath, and Kinner Kailash. After this, you need to trek back to your campsite (Jam Nallah). Since this is the last day of this amazing trek, another plus point this entire vacation is that you plan for the place anytime during your long weekends. Wake up early and have your morning tea by 6:00 am. If you’re lucky and most importantly if that day’s weather allows you, do indulge in yoga and meditation sessions at the place. You can start the trekking by 9:00 am for Nauradhar by following the same route you took to come there. It will take another 3-4 hours from Jam Nallah to reach Nauradhar. Now, you can leave for Chandigarh and you trip successfully ends here. 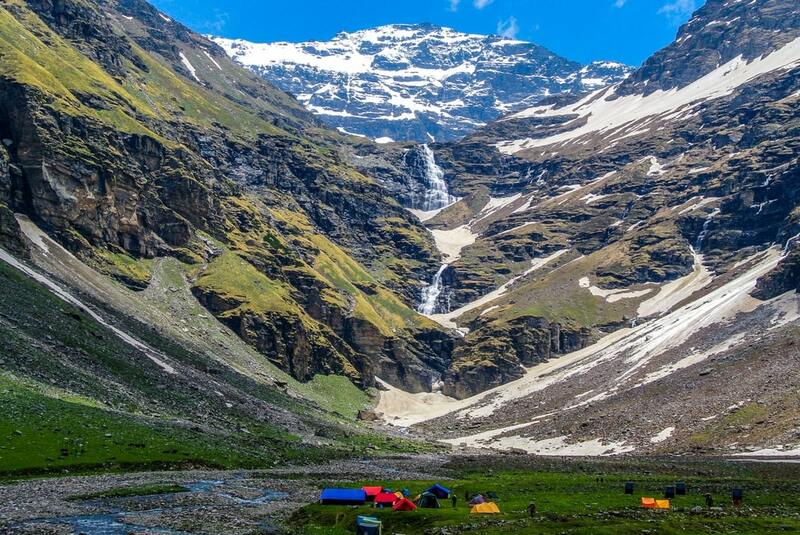 If you want to go trekking but haven’t ever tried it before, you can try out this Beas Kund trek near Manali in Himachal Pradesh. This satisfactory trek will allow you to cross mountains and traverse through to the Beas River’s source. 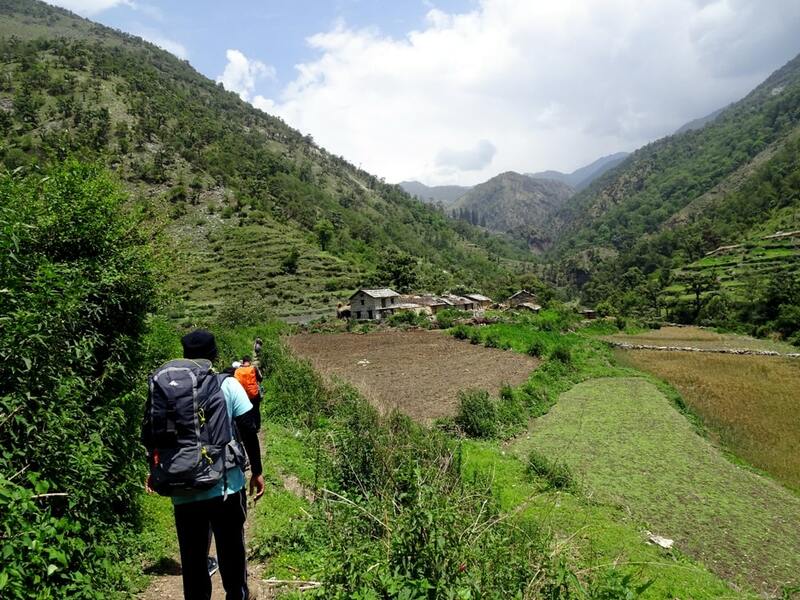 This 3-day trek starts from Dhundi in Solang Valley, a place which is also one of the popular destinations known for skiing and paragliding. 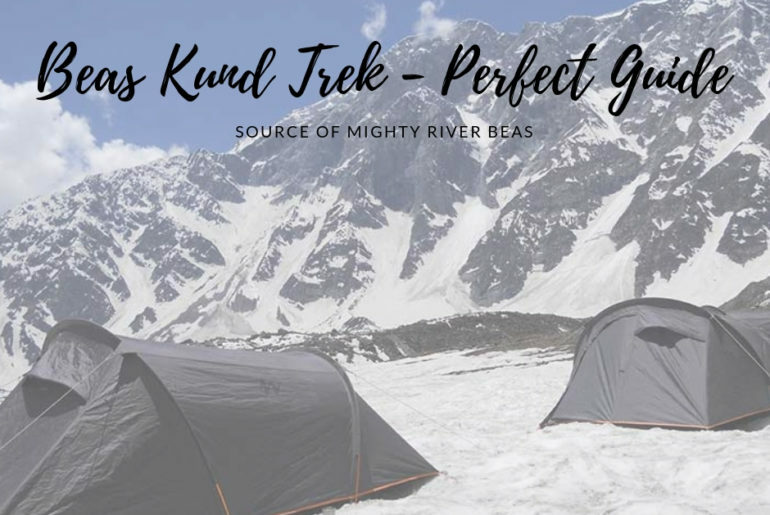 Beas Kund Trek is actually on a glacial lake and when you make your way to this lake, you’ll come across some really charming views that are absolutely able to leave you spellbound. 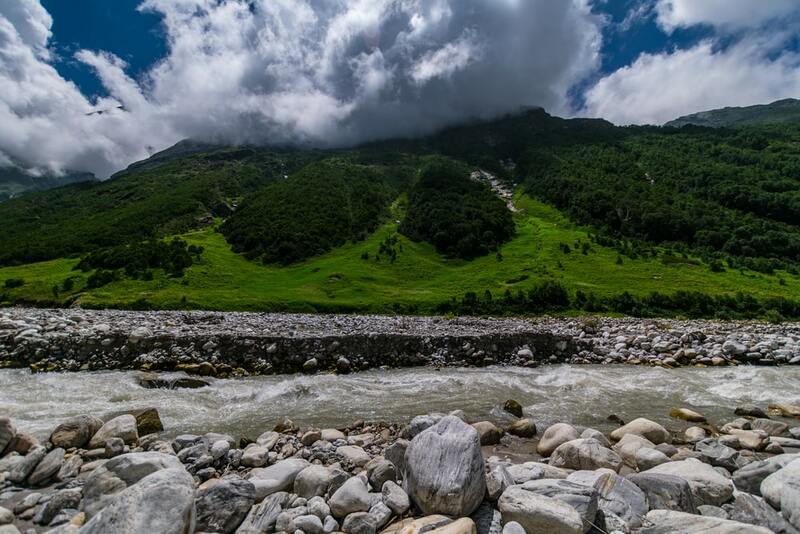 All in all, trekking to Beas Kund can be the ideal option to give a start to this new interest of yours. Let’s see, how you can attain this first achievement. 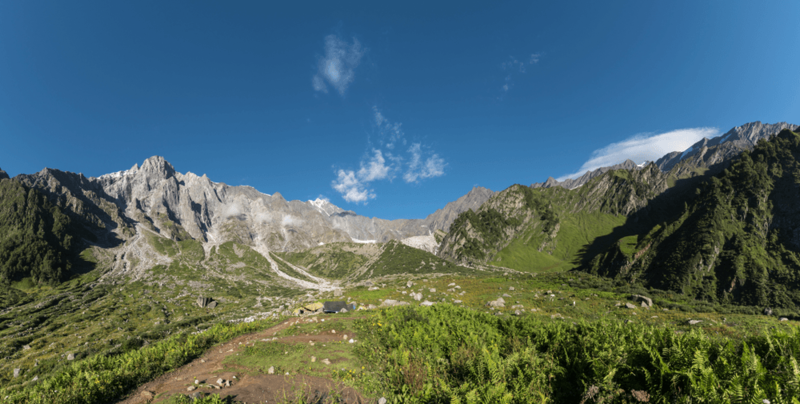 Your trek to Beas Kund will start from the Solang Valley. 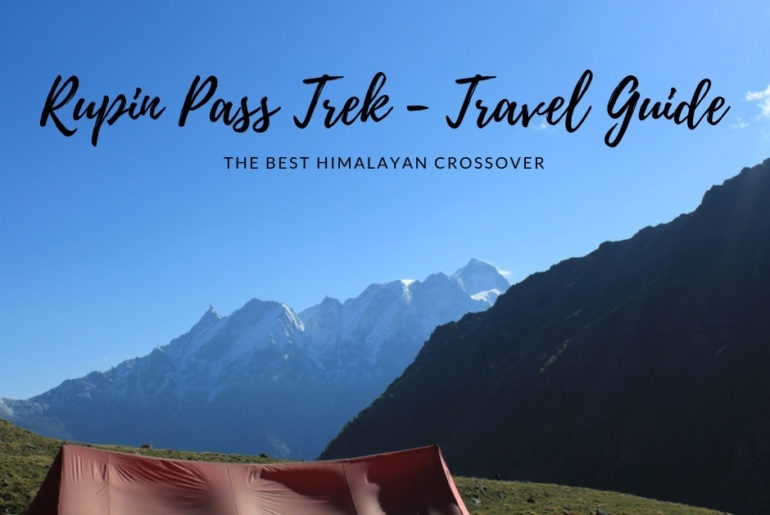 First, you need to take a 21km long bus ride from the Manali Bus stand to Dhundi via Solang Valley, which is also the starting point of your trek. Dhundi is located at a height of 3139m above sea level. 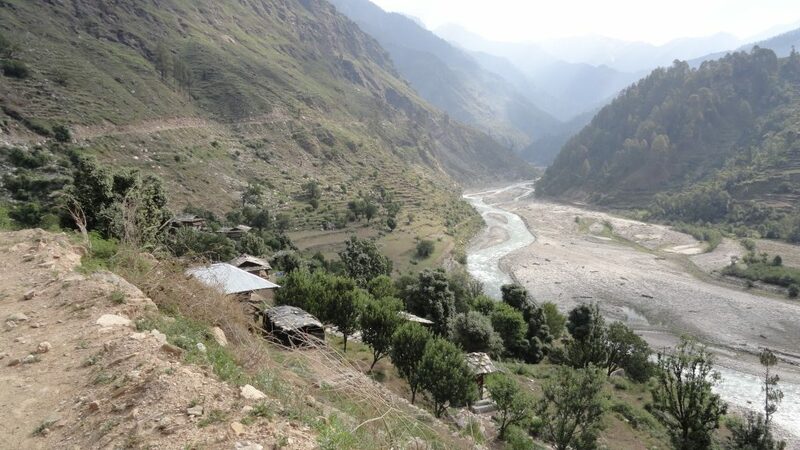 Make sure you carry some dry ration or packed lunch on your way because the trek starts here from the Dhundi Bridge. This moderate climb until Bhakarthach estimates a total distance of around 4.5km, which will also be the campsite of your day 1. From the very point, you start your trekking, you’ll be moving alongside Beas River through beautiful green meadows. So, do not miss watching this ethereal beauty as well. There’ll also come a point when you need to cross the huge river on your way to Bhakarthach. Bhakarthach is situated at a height of 3350m and the amazing lush greenery flat ground lies in the middle of the elevated mountains. Also, to note that the place also serves as a base to several expeditions that includes Friendship Peak, Ladakhi Peaks, and Hanuman Tibba. Here comes your day 2, have your morning tea and start your day early in the morning. Since this moderate climbing will ask you to come back to Bhakarthach by evening, you can just carry a few essentials like a water bottle, sunglasses, and a jacket with you. You need to start trekking as soon as possible and remember the entire trail is rocky and passes through huge boulders. After then, you’ll go up to Beas Kund from Bhakarthach, which is about 3.5km and takes around 3-4 hours to reach there. Beautiful little lakes encircled by snowy mountains are what you’re going to explore when in kund. Spend some quality over there and then return to your campsite. 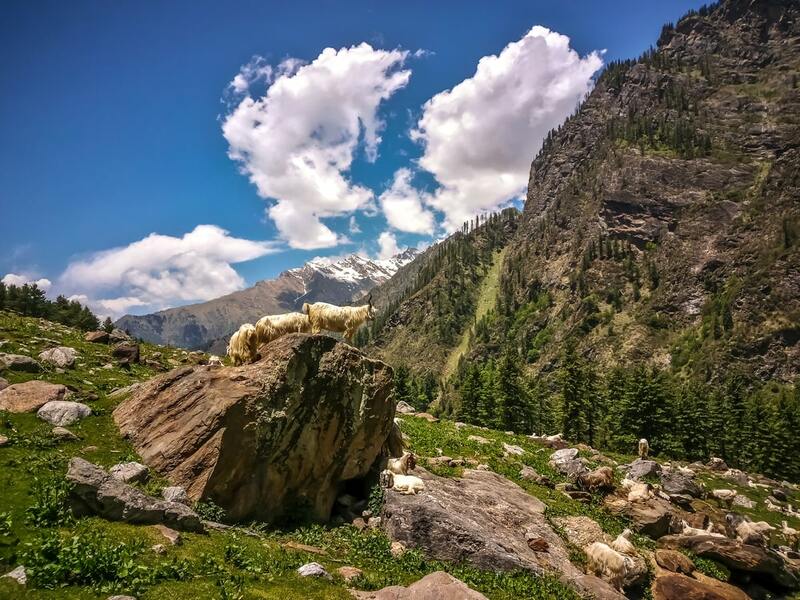 Your trek to Beas Kund is going to end soon, so have your morning tea and start trekking towards Dhundi by following the same route you took to come to Dhundi. It will be an easy trek as you’ll be going down the same route and will take around 3-4 hours to reach your destination. The first few sections go through the boulders, followed by the green meadows along the river. And to reach Manali, it is just an hour drive from Dhundi. Are you looking for a true trekking experience? If yes then there’s no other place than trekking to the Himalayas in India. This adventure sport not only gives you a lifetime experience but also allows you to discover some beautiful places and most importantly discover yourself. 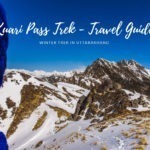 Trekking is surely one of the ways that demand you to take up challenges in real life and if you want to get started with the same way, Sar Pass trek can be the ideal choice to start with. The trek is one of the most beautiful treks in India that not just offers adventure but sheer beauty and peacefulness. The place is nestled 13,700ft above sea level in the Kullu district of Himachal Pradesh and is considered the best trek for beginners. 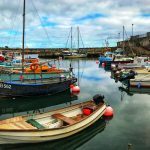 So, don’t think much about it, just grab your rucksack, tie the laces of your shoes and follow the itinerary details given below. 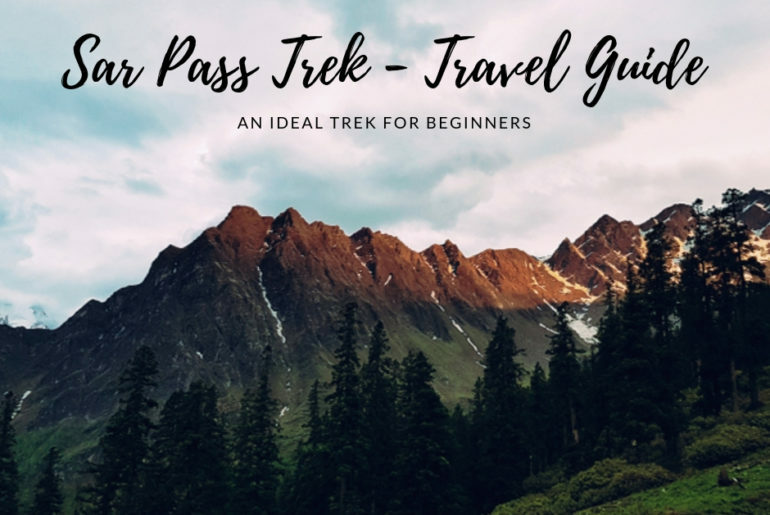 So here is my Sar Pass trek travel guide. 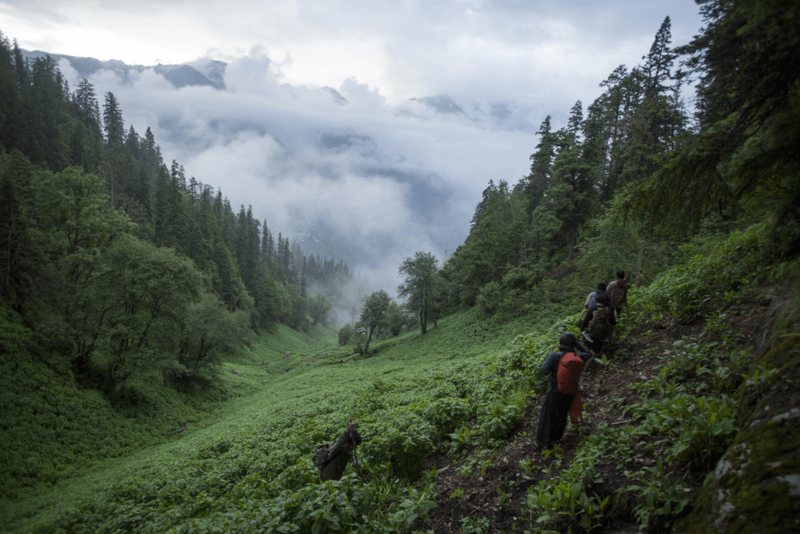 Day 1: Make it to Kasol and trek to Garhan Village. 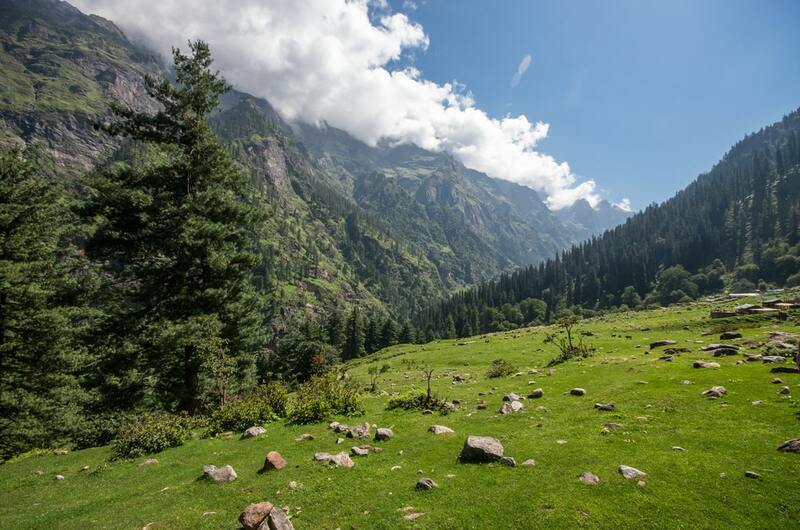 Your day starts after you reach Kasol and begin trekking from the center of the place and keep left to the Grahan Nalah. The trail is a breeze and is more often used by the locals out there. You’ll be trekking through the amazing pine forests. Even if you’re not an experienced trekker, you can easily cover good distance is just a few hours. After you reach Grahan Nalah, the trail starts to become rocky and steep, where Rhododendrons grow in the forest and the locals say that their petals can be eaten or one can mix the syrup in the water to make a refreshing drink. This makes it a must-try thing when in the Himalayas. After an hour steep climb, you’ll reach your destination by evening. Freshen up and have a good dinner. Stay over the place overnight. After completing your day 1, the next day asks you to climb towards the north of the camping ground at Grahan. You might come across villagers or locals using the same path for Min Thach. Continue walking for a while and see the beautiful Min Thach, Nagaru, and Sar Top on the mountains. Next, you need to walk through the steeper trails that will take you into the woods. As you go further, the path becomes steeper and a little confusing, so make sure you stay with your group or partner. After you cross the lush green forest, arrive in Min Thach. Do not miss the Chanderkhani belt and some other ranges that can be easily seen from here. Stay overnight in the camps and have your dinner. Here comes the difficult part of your trek. 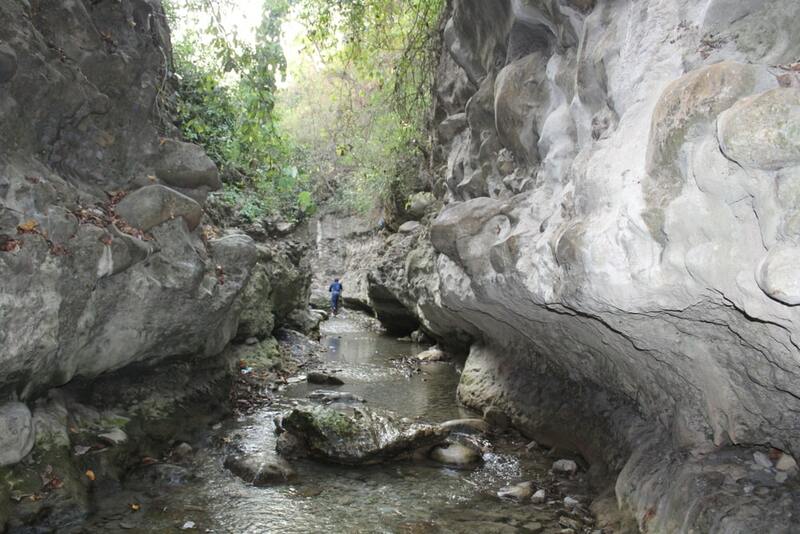 Day 3 asks you to indulge in a 4-6 hours trek from Mung Thach to Nagaru that passes through the woods. Be careful on this trail because the steep slope and slippery snow can make it really difficult to walk over there. 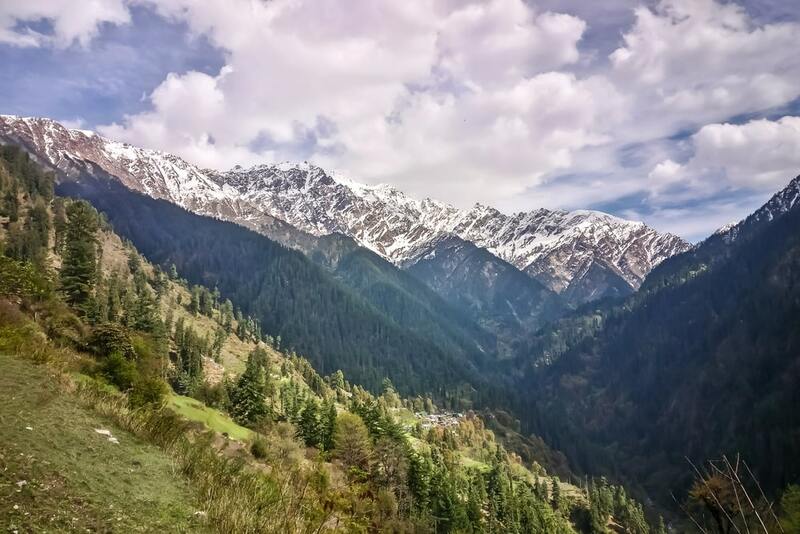 When you finally reach the Nagaru campsite, enjoy watching exotic vistas of outstanding mountains across the Parvati valley and the town of beautiful Manikaran can also be seen. It generally becomes extremely cold at night, thus to start the next day with the same zeal make sure you sleep early to avoid cold. Wake up early in the morning and start your trek. Remember the climb is steep through the snow and witness the beauty of Tosh valley. 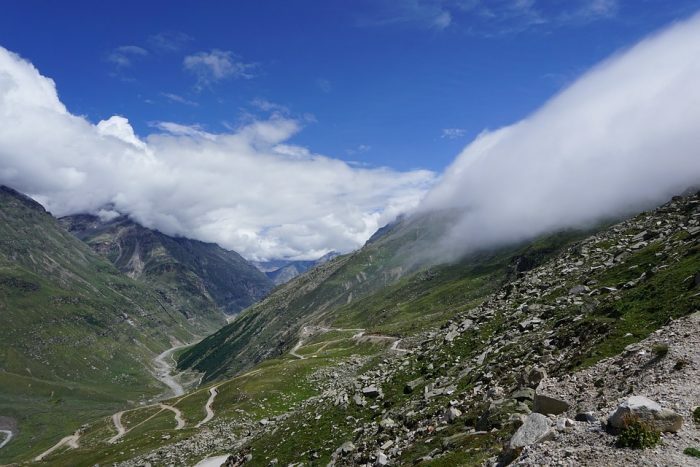 Believe it or not, the breathtaking views on the top of Sar Pass will leave awestruck. Also, ensure that you spend some quality time over there and soak yourself in the beauty of this place. Stay careful and slide down to the valley, which is almost 1km. Continue walking for an hour and arrive at Biskeri Thach campsite by evening, the path will let you cross some splendid water streams. Stay overnight at the campsite, have your dinner, and take rest. Your journey is going to end soon. 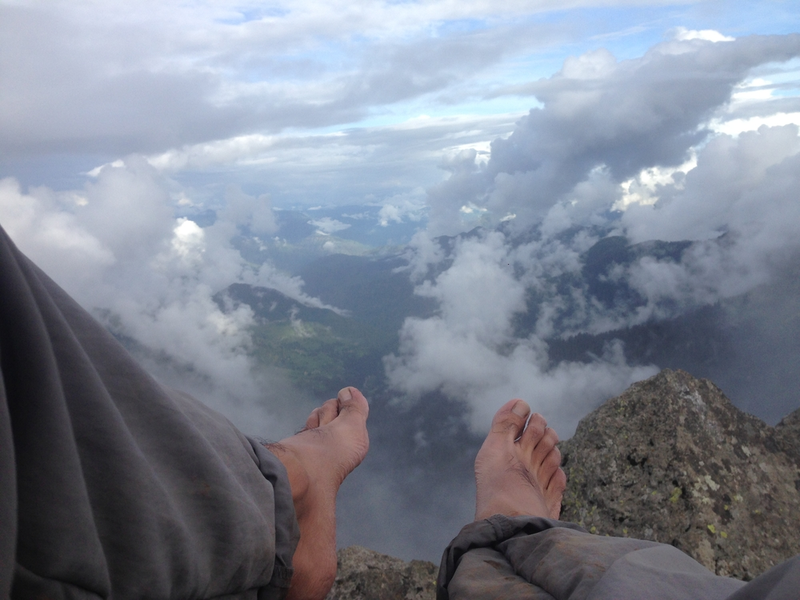 This route allows you to see some breathtaking views of mountains and pine forests from Biskeri Thach. Now, begin trekking downhill through dense forest and by crossing a stream and then arrive at Pulga. The twin village of Pulga and Tulga are parted by a stream. The way to the village of Tulga you need to cross the bridge on the river Parvati and then head towards the village of Barshaini. Take the jeep ride to reach Kasol and your trek to Sar Pass ends here. 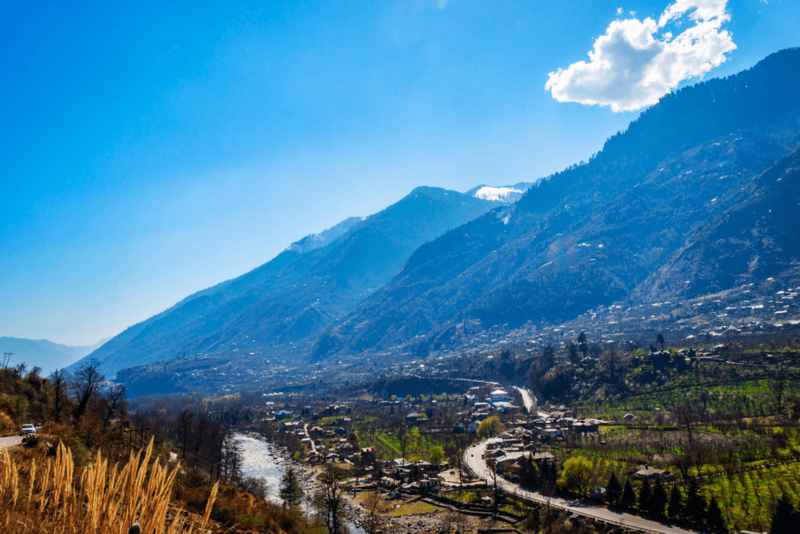 You can also go to Barot Valley or Kheerganga if you want more experience. 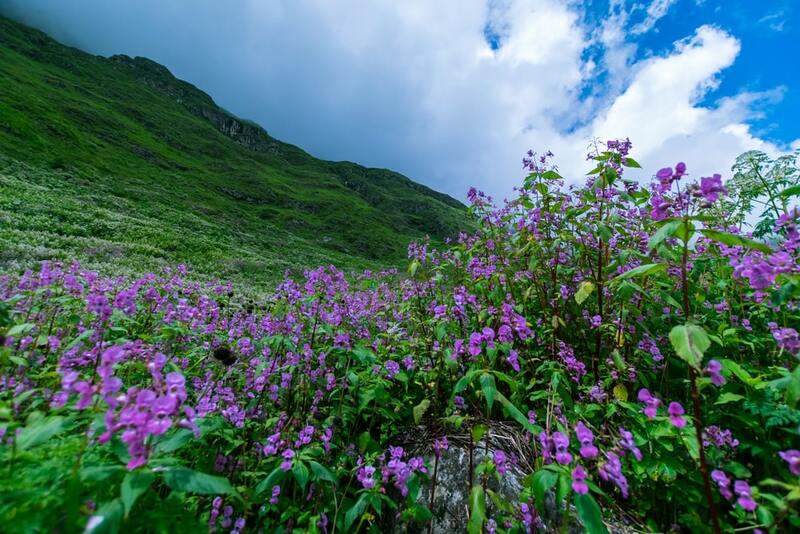 If you’re the one who is now going to start their journey of trekking, there’s nothing better than beginning with the Valley of Flowers trek. The place is definitely one of the exceptional natural botanical gardens in the country where most beautiful of all the Himalayan flowers can be witnessed. 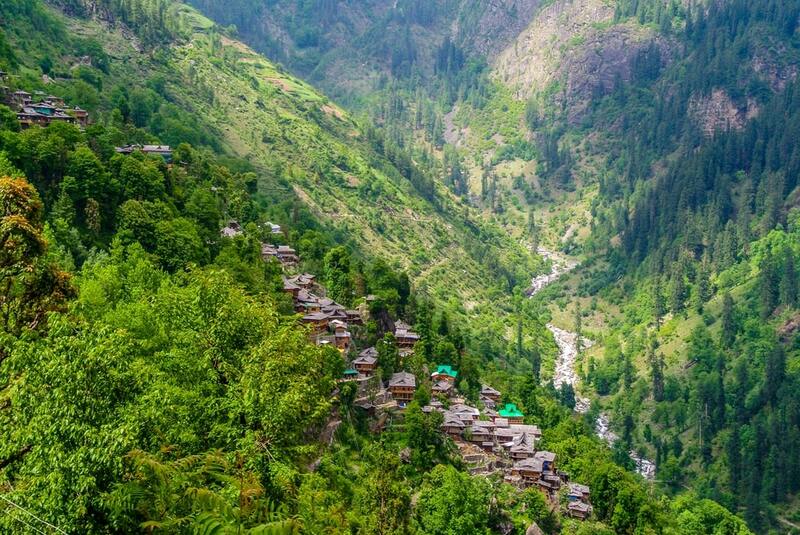 On one side of the trek, you can see the valley all-decked up with amazing flowers that are a treat to eyes, while on the other side there are snow-capped mountains. All in all, this picture perfect beauty is definitely something to die for. 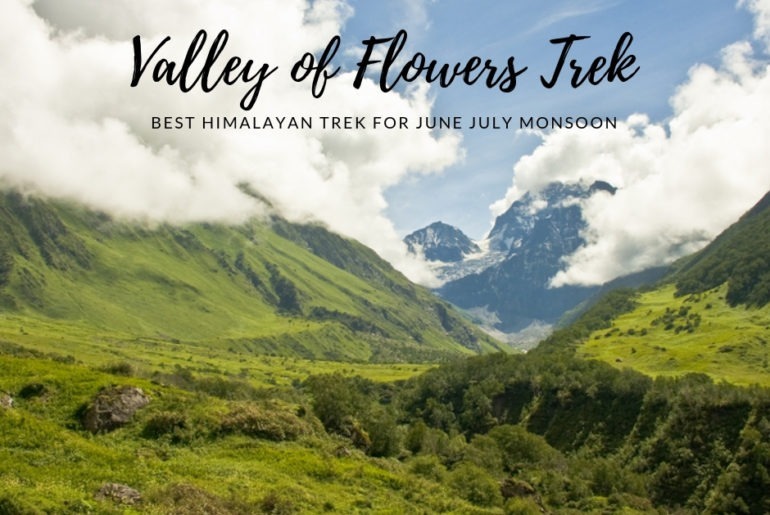 Valley of Flowers Trek is quite easy and the trek is absolutely able to show you the joys of Himalayan trekking in around 6 days. So, before I start with how you need to spend these 6 days fruitfully, on a serious note, make sure you visit during monsoon (July and August) to experience the best floral version of the valley. 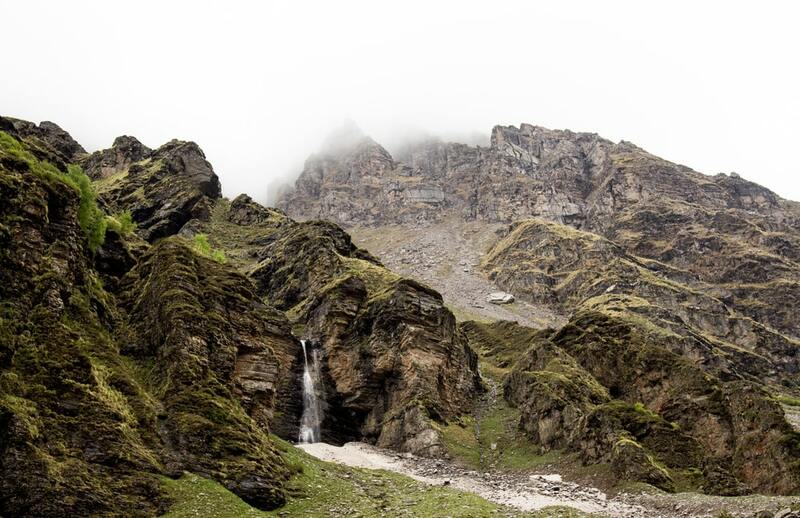 Your trek will begin with an uphill drive from Haridwar to Govindghat via Joshimath and Devaprayag. It will be a long distance drive of around 260km and will take 10 hours, so begin your day early in the morning or by 7:00 am. 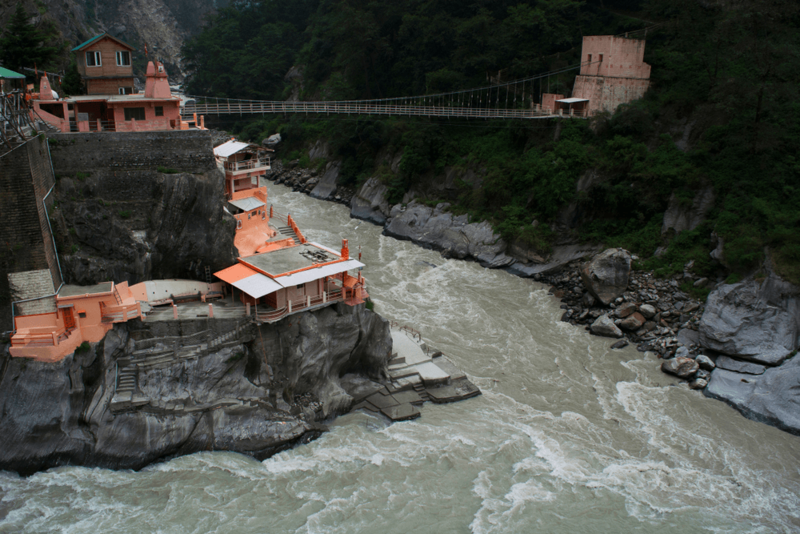 Along the way, you’ll be passing Devaprayag that allows you to see the beautiful holy Sangam of Bhagirathi and Alaknanda Rivers that forms the River Ganges. 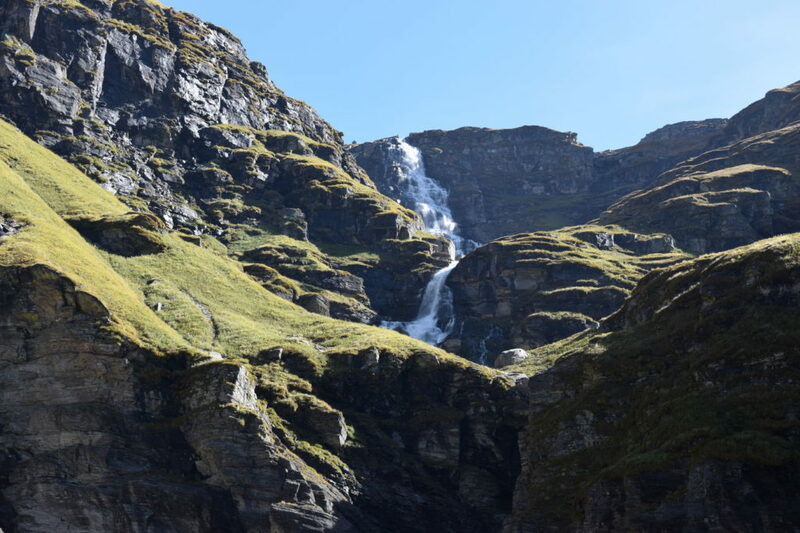 Reach Joshimath and plan a little stay over there to experience some other religious pilgrimage points or if you don’t want that, you may proceed to your destination in that period of time. As from Uttrakhand, you have so many options. Some of my friend who was going to Brahmatal trek also stop in Haridwar and then went to Kathgodam. Here, you’ll indulge in a 14km long mountain trekking that will take up to 6hours to get completed. 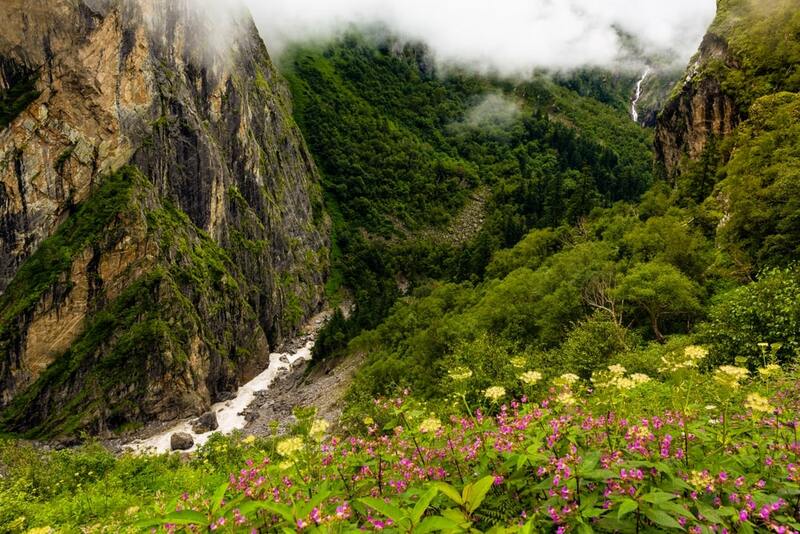 This is the actual day when you start off with the Valley of Flowers trek from Govindghat to Ghangaria. After you finally reach Ghangaria, do the hotels check-in or you may also stay at the camps to feel the real trekking vibe. You can even move out to witness the nearby surroundings, have a good dinner out there and have rest because something really exciting is waiting for you. Are you ready to experience the breathtaking flora and blossoms we have been talking about right from the beginning? 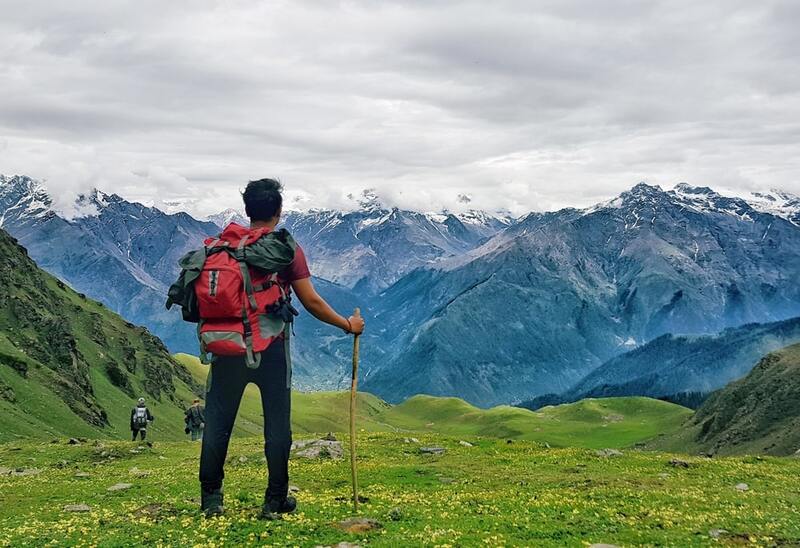 All your efforts and trek to this whole high altitude Valley of Flowers trek is finally going to let you witness the mesmerizing sight, which is surely a treat to your eyes and soul. Make sure you have a good and healthy breakfast because you’ll be trekking to a height of 3,858m. Take a deep breath as you’re going to be amidst nature’s one of the best creation that is home to an impressive display of thousands of flowers in full bloom. This one-way trek of just 5km will take around 3hours to reach this wild flora that remains full of birds, insects, and adorable butterflies as well. Spend good quality time over the place, take some insta-worthy pictures and then you can start your return trek to Ghangaria. I know would be hard to leave the place but go back, stay overnight at your hotel/camp and have a good dinner. This well-defined trail is basically full of Sikh pilgrims that allow you to see the most heartening and motivating sight. Day 4 will ask you to first have your breakfast and then head towards the steep trail of Hemkund Sahib, which is one of the religious sites and it is said that this is the place where Guru Gobind Sigh have meditated in the previous life. The place is surrounded by amazing snow-clad mountains and is definitely the ideal soothing place where you stay for hours and calm down your body and soul. Also, Ghangria has a helipad along with enough space for camping and around half-kilometer away from this helipad lies a number of hotels, restaurants, and a Gurudwara. Do not miss the tempting afternoon lunch (langar) at the Gurudwara and then begin with the return trek to Ghangaria. Stay overnight at the hotel or camp and have a good dinner. The trekking tour is slowly coming to its end. After you have the breakfast, start trekking the same route from Ghangaria to Govindghat. 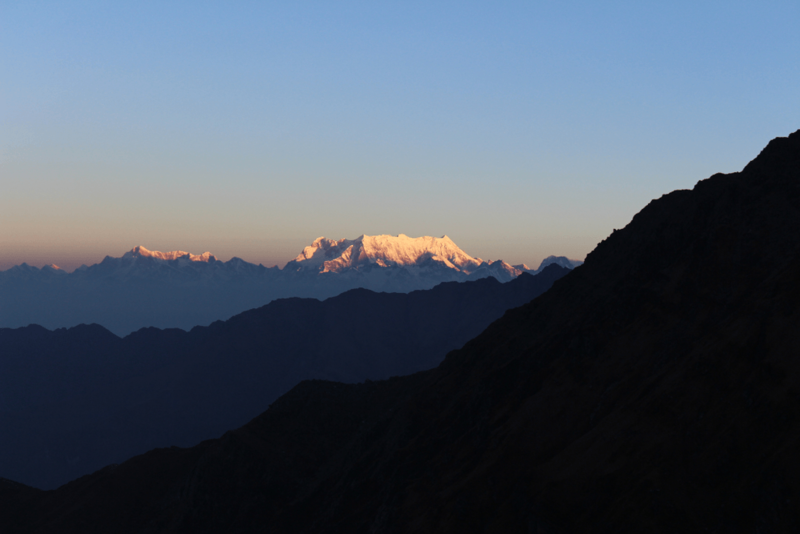 If you feel that you’re still not done with your vacation, you can move towards Auli in the evening. So, your trip has finally come to an end. Leave from Govindghat early in the morning to reach Haridwar. I hope you’ll take back home some outstanding memories of this mind-blowing place. 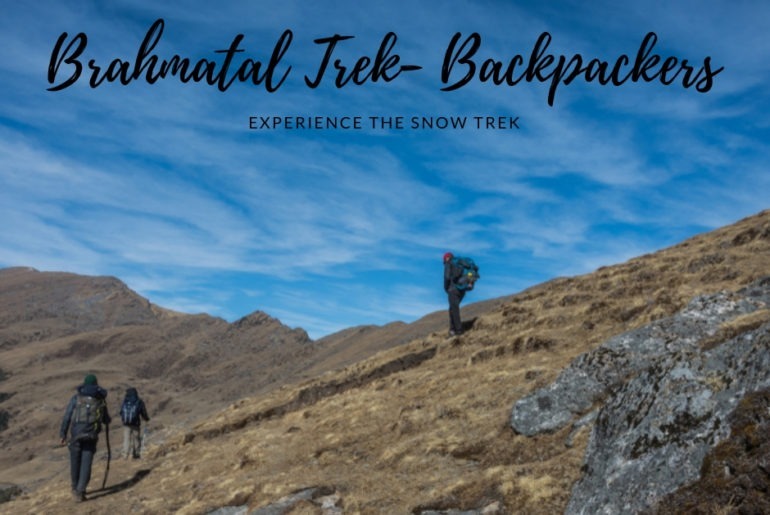 Get ready to explore another gem of the Himalayas, Brahmatal trek, which is undoubtedly one of the favorite treks among the trekkers. 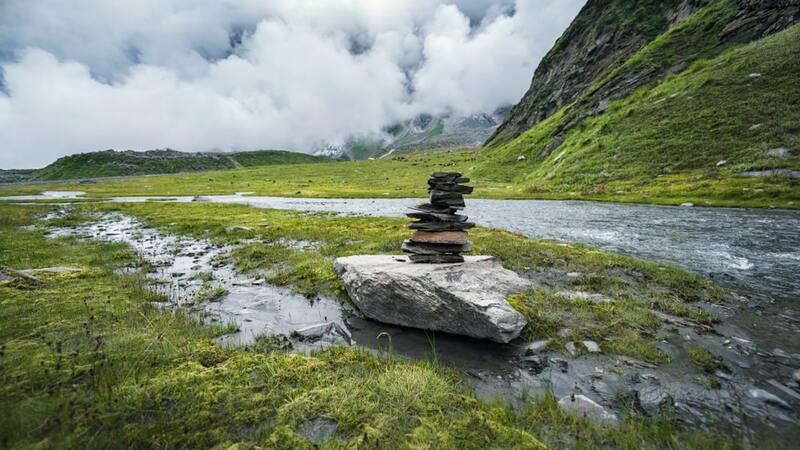 According to the mythology, trek to Brahmatal, a lake where Lord Brahma is believed to have meditated and is one of the exceptional treks that is open during the winter months when usually most of the trekking routes remain closed. The trekking part lies amidst the Himalayas and the trail mostly remains covered in snow, the trek can be a little challenging for some trekkers. 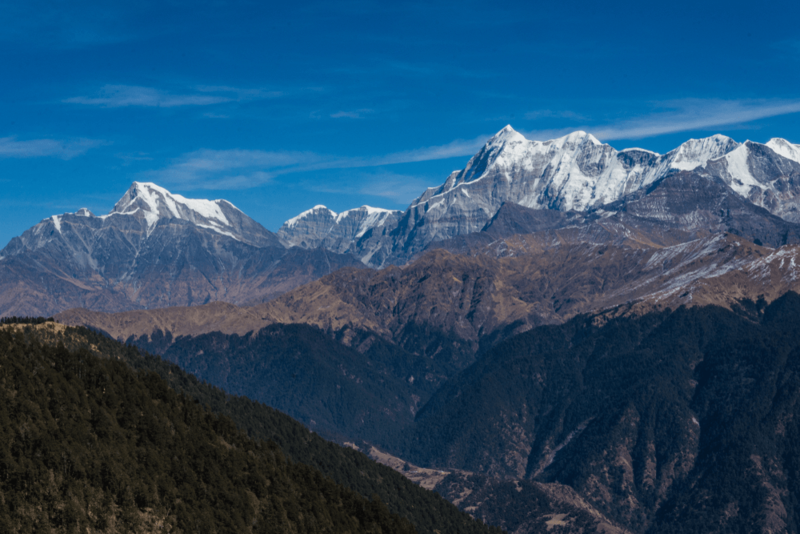 Besides steep terrain, the trek allows you to witness panoramic vistas of the Himalayas with Mt. 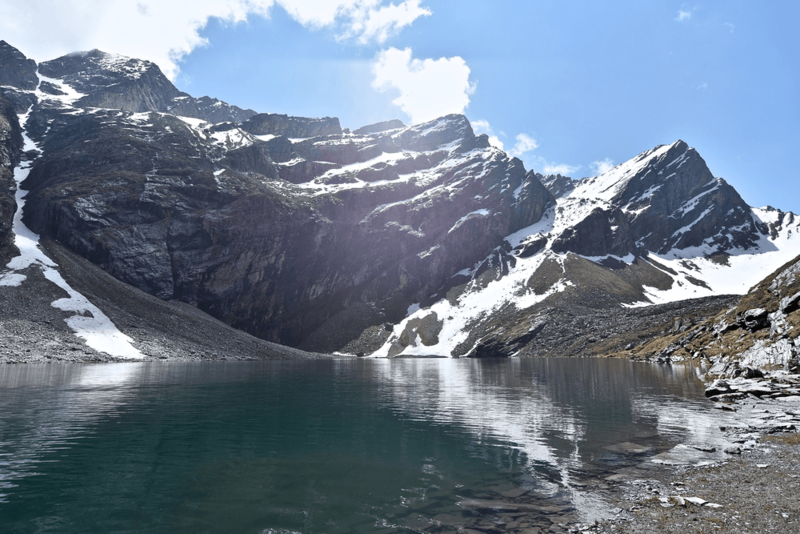 Trishul and Nanda Ghunti, bird’s eye view of the fantastic Roopkund Lake and a number of chances to capture snow covered mountains in your camera. 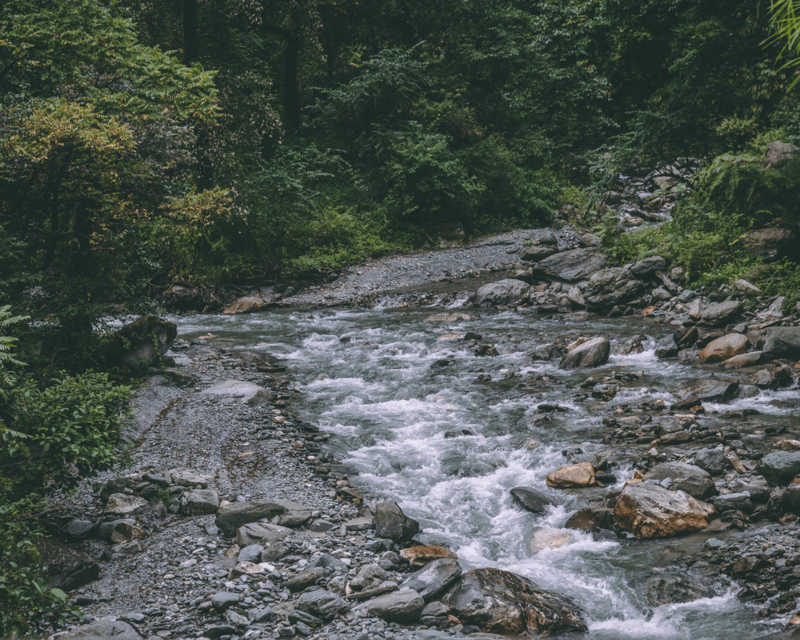 Not to miss that the trek will take you through some amazing quiet hamlets, conifers and oak trees, streams, and eye-catching valleys. 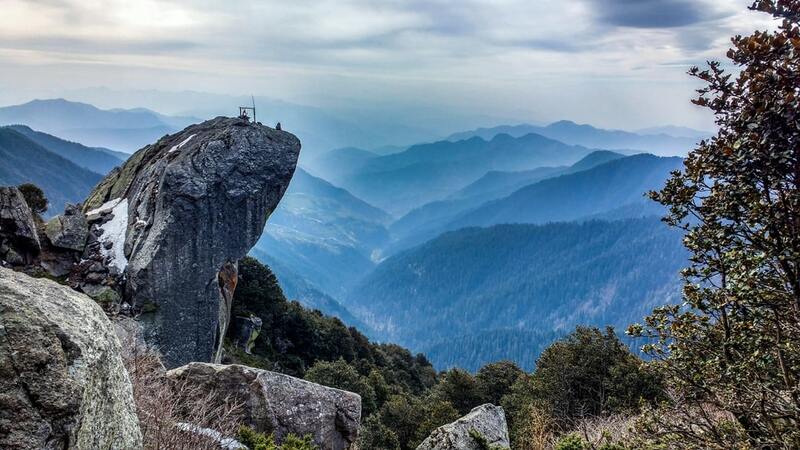 If you plan to be on this trek someday, here’s detailed itinerary to Brahmatal Trek. To start the day 1, you need to reach Kathgodam by early morning and once you reach the railway station or the bus stand, you need to board your vehicle and take a leave from the place. It will take 9 hours to complete the journey of 225km from Kathgodam to Lohajung. And after you reach your destination by late afternoon, stay there for a night in the guest house. The town of Lohajung lies at 2300m, which is also a small mountain pass that connects Gwaldam side to Wan side of the mountain. Since you’ll reach the place by late afternoon, you can spend some time in the markets of Lohajung or simply enjoy the beautiful sunset from the balcony of your room. Have your dinner and get your beauty sleep because true adventure starts tomorrow. Have your breakfast and start your trek to Bekaltal. Along the way make sure you do not miss seeing some fabulous views of the Nandaghunti Peak. The walk is mainly inside the jungle of oak, fir, conifer, and cedar. In addition to this, Bekaltal is a fantastic lake that usually becomes frozen during January and February. Bekaltal trek is about 4-5 hours long and the total distance covered is approximately 8km. You can stay there overnight in tents. This is the day when you’ll be heading towards the place when Lord Brahma is said to have meditated long ago. You need to pass through the snow-covered pathways, in order to reach Brahmatal. This 5km long trek will take around 4 hours to reach your destination. 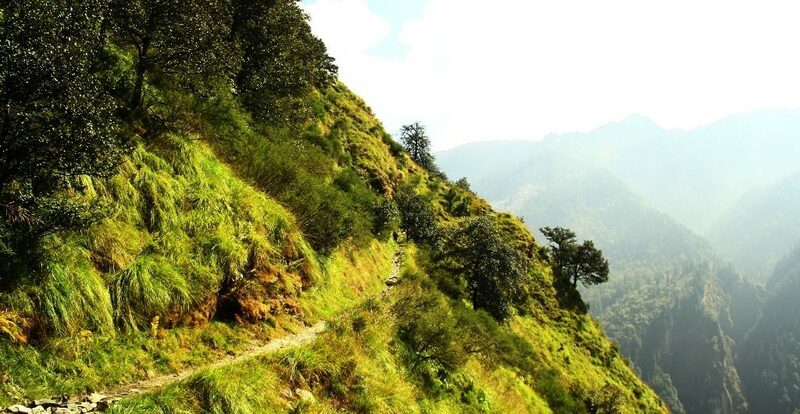 Also, the trails will let you go through a forest and once you reach the Telindi Top, just soak yourself in the mesmerizing views of the remarkable Himalayas. After this, you need to continue walking to reach Brahmatal or Khabekhal Lake. Get back to your camp. Have a good healthy breakfast and head to the top of Brahmtal. Here you’ll be trekking along some tricky pathways that will let you go through Chota Jhandidar and Bada Jhandidar. The best part about this trail that it is surrounded by a mountain ridge that has valleys on both sides. In order to reach the top of the Brahmtal, you need to climb for about 2.5 hours. You can too witness two of the most outstanding peaks namely Mt. Trishul and Nandaghunti that looks as close as you’re watching them on a big screen. After this, you can continue to your next campsite in Daldum and it will take around 3 hours to complete the trek and the total distance covered will be 2.7km. Again, you’ll be walking through these trails with forests accompanying you throughout. On day 5, you’ll trek back to Lohajung taking the same route you took to reach Brahmtal. And once you reach Lohajung, check-in to your hotel or guest house and take some rest. Your trip has come to an end, finish the trek and leave for Kathgodam by early morning. 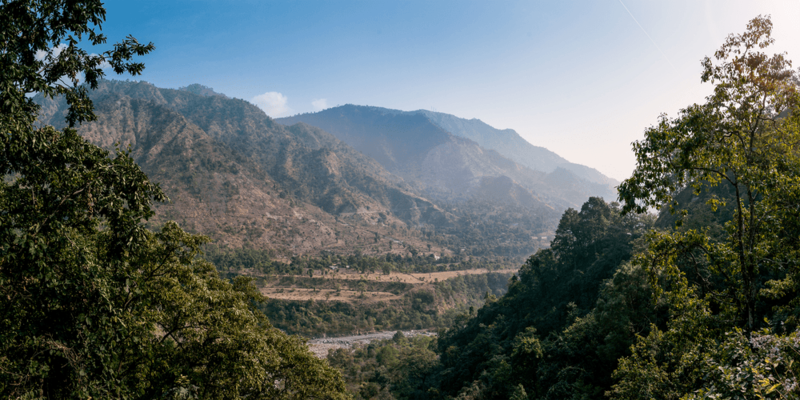 And after you reach Kathgodam, you can see if you want to explore the place, go shopping, or anything else because this beautiful place will never let you down. Whenever I thought of moving out for an outing, seeing the scorching heat, I always used to end up with one thing. Let’s turn on the air conditioner and escape the torturous heat until I realized that this problem has a far better solution. Visiting any of the nearby hill stations to your city. Since I was in Chennai for a few months, I got a chance to explore some of the best hill stations near Chennai and had the best time of my life. Though the city is majorly famous for its industrial outlook but trusts me it has much more than this. 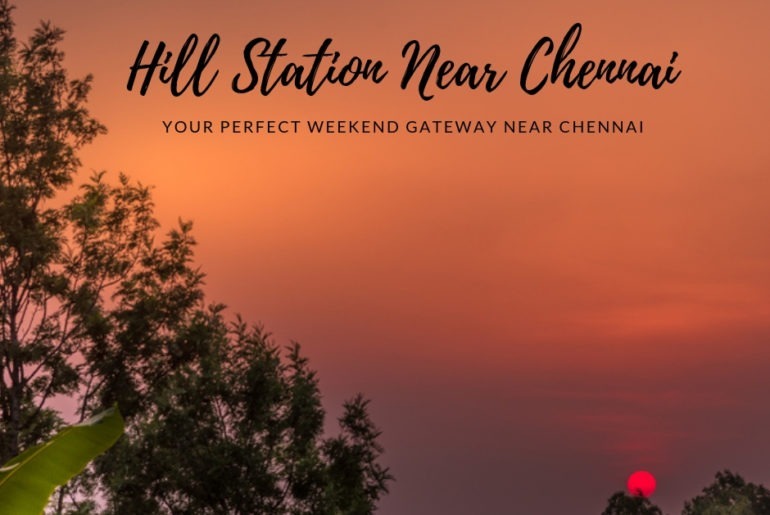 A maximum of you guys must be familiar with the fact that the city is a land of thousands of outstanding temples and arts and performing centers, these hill stations near Chennai also contribute in adding grace to the city. 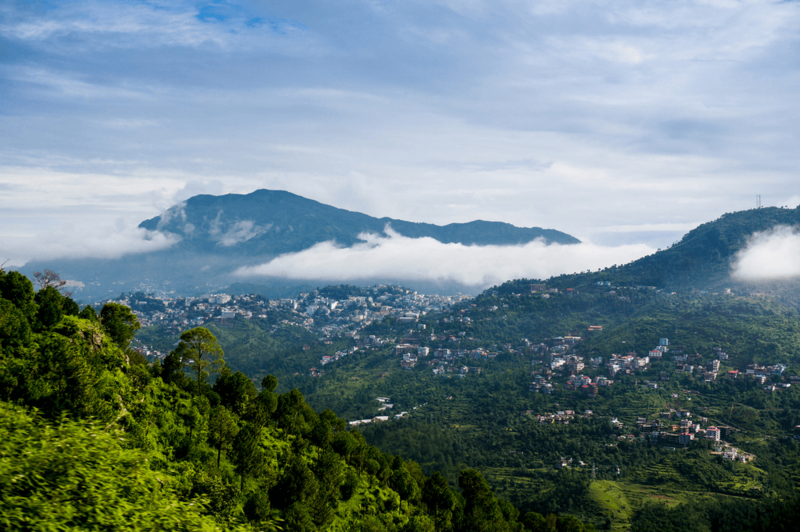 Check out those mesmerizing hill stations and pick one that you believe can make your weekend sorted. Who doesn’t want a place where they can visit and escape the daily hustle-bustle of life? And spending some your time in the lap of nature is the best escapade. 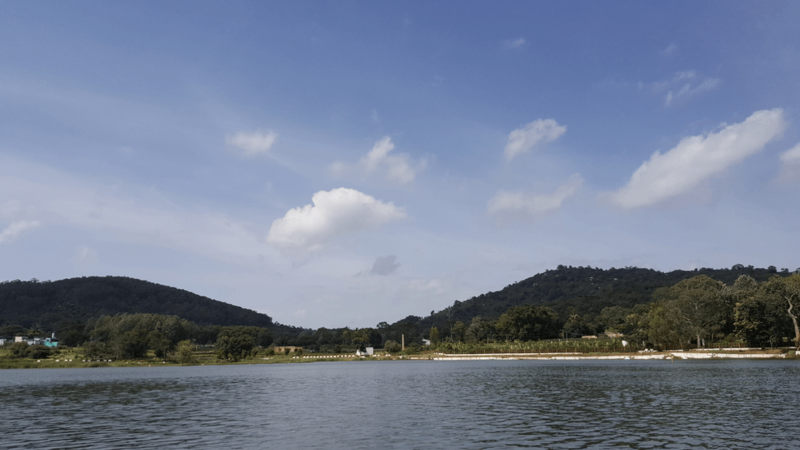 This small yet beautiful hill station located in Salem district in the Shevaroys hills of the Eastern Ghats is the perfect weekend getaway near Chennai. The place is definitely a treat to your eyes where you can indulge yourself in trekking along with other major expeditions that are organized by Chennai Trekking Club. 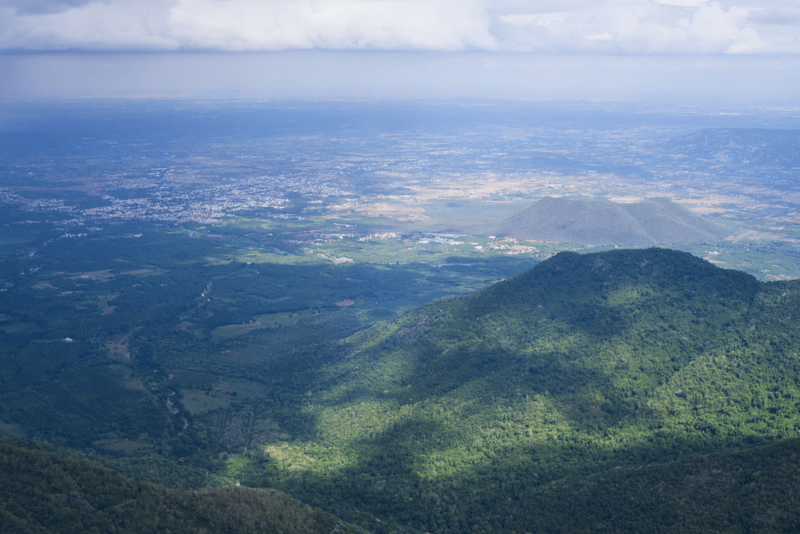 As you walk miles through the hilly stretch, do not miss witnessing the Yercaud Lake and the mesmerizing Killiyur Falls. Also, when in Yercaud make sure you try out some local food as well, especially those capsicum fries. And if you want something more interesting, you can go for Egg Bonda or green chilly fries with its tempting chutney. My mouth is already watering. 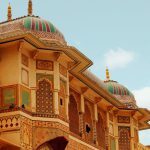 You cannot afford to miss this mesmerizing picturesque hill station that is surrounded by flowery orchards, rose gardens, lakes, valleys, green hills, and much more. 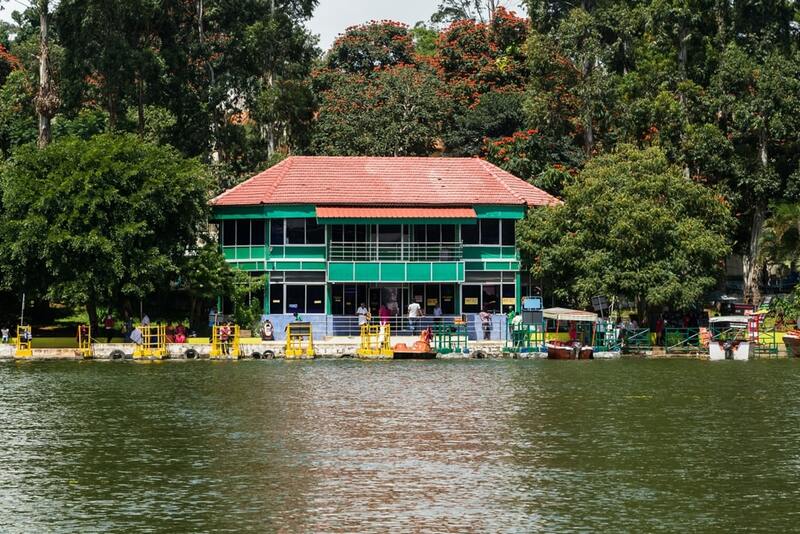 Yelagiri can be the ideal pick for all those who are looking for a place perfect for a quick weekend getaway and want to spend some quality time with their loved ones near Chennai. 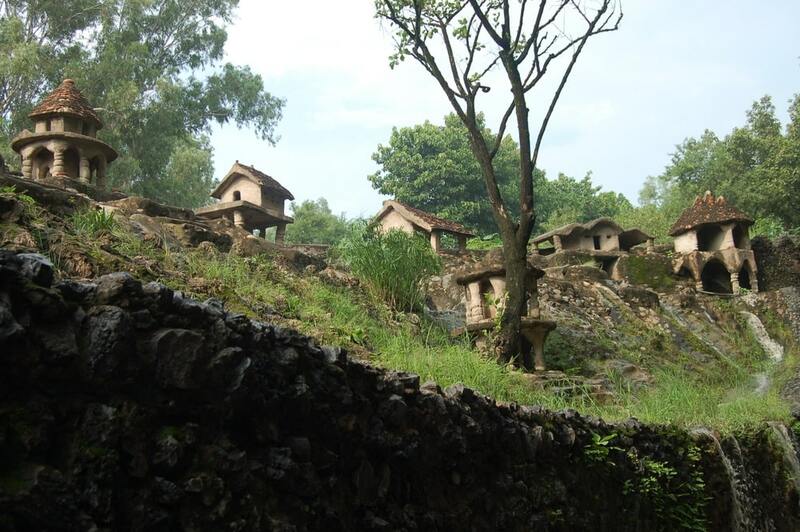 The place is even considered best for those who love trekking and hiking through the breathtaking nature trails. Also, for those who look out for or are interested in adventurous activities, paragliding, and rock climbing is also available out there. If you’re actually planning to visit this charming place, try to visit at the end of May so that you can also attend the colorful summer festival held every year. Some of the other major attractions that you should not miss are Punganoor Lake, Swami Malai Hills, and The Jalagamparai Waterfalls. 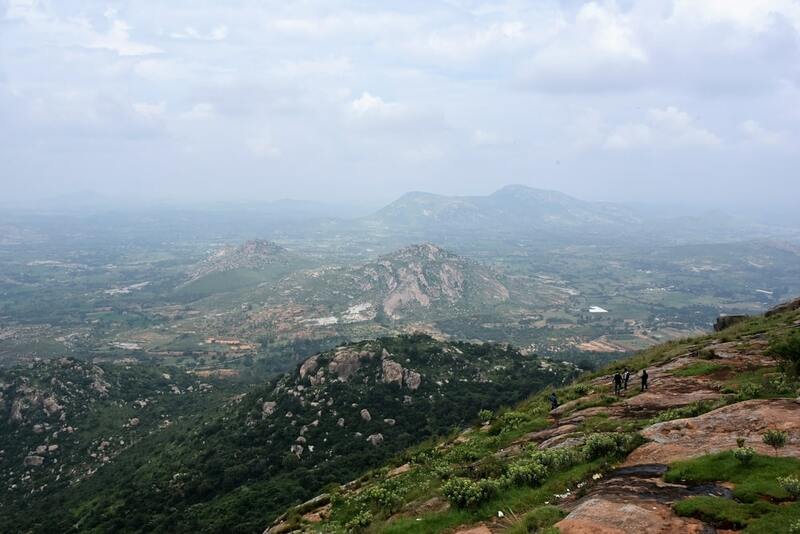 The reason why this lovely hill station In Andhra Pradesh is worth visiting because of its absolutely great weather that allows you to enjoy some tranquil moments amidst the flora and fauna. Horsley Hills is actually a group of different hills, which was named after the British Collector of the region, W.D. Horsley. The hills are full of dense vegetation, outstanding trees, dense forests, beautiful animal and plant life, a few small temples nearby its many hillocks, and what not. Another reason that makes this place a perfect vacation spot is its unspoiled environment and you cannot go wrong or bored with the place. Try out some really exciting adventure activities like trekking, bird watching, and the most thrilling activity, zorbing that can only be enjoyed in a few places in India. Koundinya Wildlife Sanctuary is another close proximity to the hills, in case, you have some time left make sure you visit the sanctuary as well. This place has surely my heart. Coonoor, the second largest hill station in the state of Tamil Nadu can become your best weekend trip and the reason being its lush greenery, trekking routes, splendid ambiance, and of course, the tea gardens. The hill town is situated in Nilgiri district, which is mainly known for its Nilgiri Tea production. Also, Coonoor is popular among trekkers and hikers, after all, who doesn’t want to walk through the blue mountains of the Nilgiri Hills. This hill station is also near Bangalore. So, if you really planning a trip to Coonoor, don’t miss to head towards the Droog Fort, The Law’s Falls, Dolphin’s Nose, Sim’s Park, and Lamb’s Park as well. 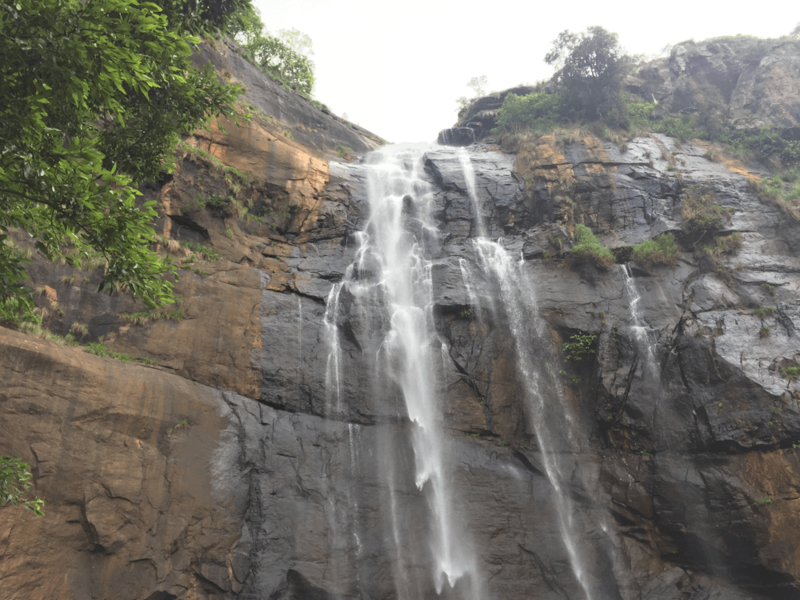 The best part about Kolli Hills and the top reason why I have added the place in my list is that the hills are completely untouched by any type of commercial tourism activities. In a true sense, you can’t get much cleaner and lush green environment anywhere. 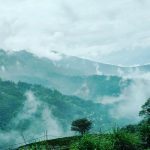 Once you visit the place you’ll mostly witness beautiful coffee and tea plantations all around and some paddy fields and jackfruit trees (ensure you try out the fruit, it is the place’s specialty). The hills are situated on a height of 1300m able sea level, which is surely serving as one of the ideal getaways near Chennai. You can even enjoy trekking to some amazing scenic viewpoints like Seekurai and Selur or maybe boating at Vasalurpatti’s lake. Well, that’s not the end, you visit the sacred Arappaleeswarar Temple and then walk down 1000 steps to the Agayagangai Waterfalls just to inhale fresh and pure mountain air. Here’s one secret: Plan a trip to Kolli Hills during monsoon because this is the time when the valley is streaked with various streams. 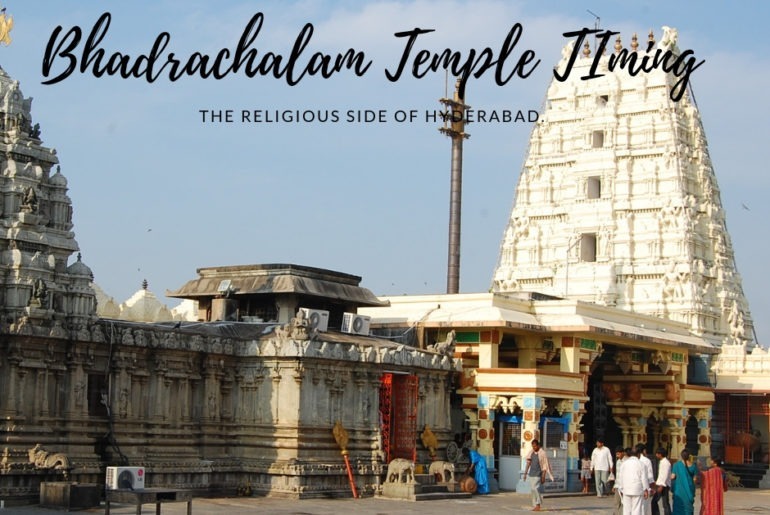 Bhadrachalam Temple Timings – History. Worship at the divine temple dedicated to Lord Rama with an awakening ceremony at 4:30 am and too that with some specially written and composed songs of Sannai Trupets Naubat, Tumu Narasimhadas, and poems. We included all the Bhadrachalam Temple timing in this article. Who doesn’t love starting their day with peace, happiness, and feeling of satisfaction in their mind? Bhadrachalam Temple, situated on the banks of River Godavari was built in 17th century by the avid devotee Tahsildar Kancharla Gopanna. Epic says that Lord Rama after a long time of his Vanvasa manifested himself in order to save his adherent Bhadra Maharishi because he promised Moksha for his penance. After then the village was named Bhadragiri or Bhadrachalam. Talking about the history of Bhadrachalam Temple, it is said that Lord Rama came in the dreams of his adherent Pokala Dammakka and told about his whereabouts in Bhadragiri. As told by Rama, Pokala went to the anthill and take out all the idols and built the temple using bamboo sticks. Also, if you go through the Puranas, Lord Rama with his wife Sita and brother Lakshman lodged there for a limited time during vanvas. 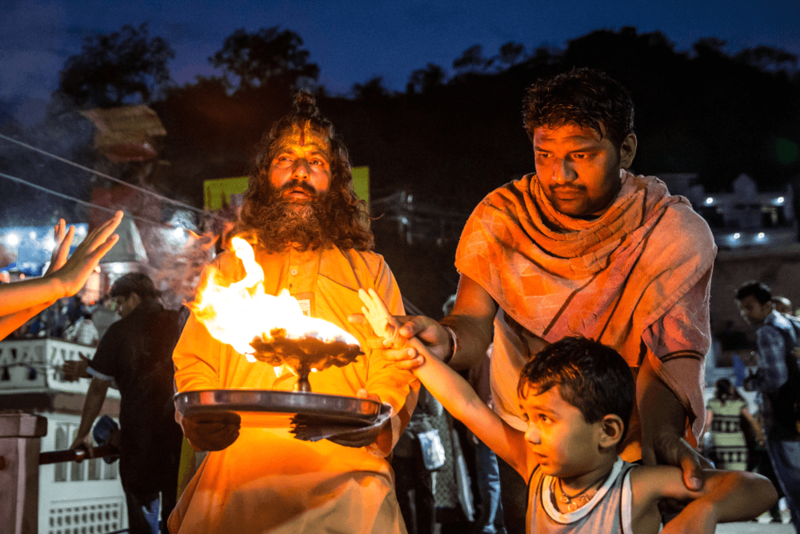 Parnashala is the name given to the place where they all stayed and the best part is you can visit the same by bus as the place is around 39km away from the temple. Basically, Telangana is popular for its temple-like Chilkur Balaji Temple one of the ancient temples of India. The temple opens at 4:00 am in the morning with Suprabhata Seva from 4:00 am to 4:30 am. Then the devotees can head towards for the Sarva Darshan that starts from 5:00 am in the morning and continues till 12:00 noon. After this, the temple remains closed from 12:00 noon to 3:00 pm. The temple reopens at 3:00 pm and then the devotees can again involve themselves in Sarva Darshan from 3:00 pm to 6:00 pm. From 6:30 pm to 9:00 pm, Sarva Darshan hours start again. Then the devotees can go and involve in the Ekantha Seva at 9:00 pm. At 9:30 pm, the temple remains closed. Reaching the temple is no difficult task. If you’re coming by train, Kothagudem Station is the nearest railway station at Bhadrachalam Road, which is around 40km away from the temple. If a bus route is the way you want to opt for, direct bus facility is available from khammam and Vijayawada bus stations. 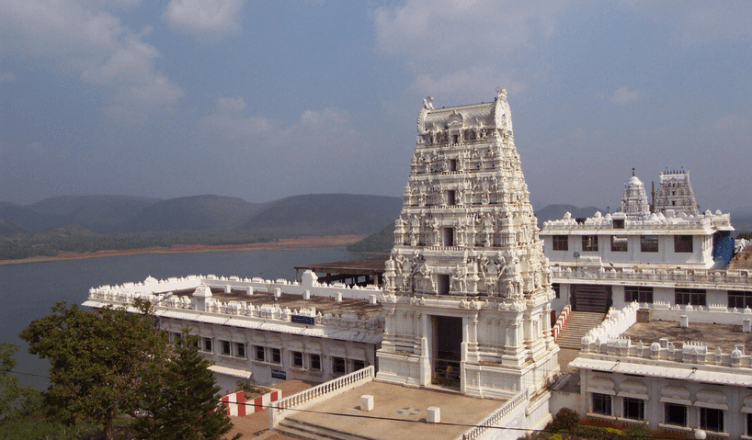 Also, if you have enough time left after visiting the temple or if you’re done with the darshan, you can visit some places nearby Bhadrachalam like Sabari, Sree Rama giri, Godavari, Paapikondalu hills, Gundala, Parnasala, and many more. If you don’t mind me asking when was the last time you visited a new place or took a break from your hectic schedule? If it’s been a while, it’s high time you should give your body and soul that ‘mandatory break’ and take yourself to a place that is blessed with an abundance of natural beauty. Where’s such a place? Well, it’s there only in the Himalayan Mountains of Uttarakhand. I am talking about Auli that is surely an ethereal place to visit for anyone who is looking for an escapade. 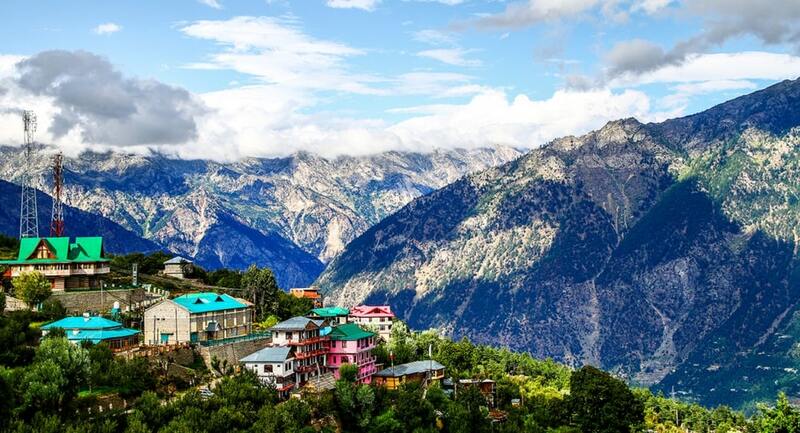 Also, this charming hill station is one of those places that one should visit at least once in a lifetime. 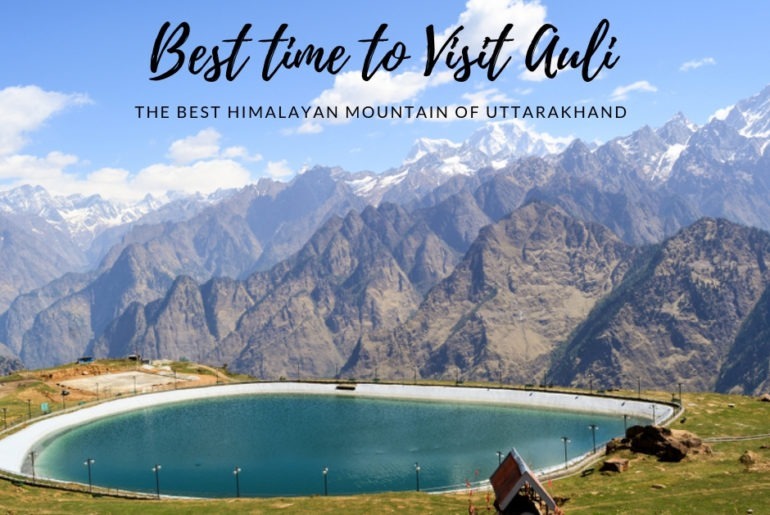 So I will tell you what is the best time to visit Auli. Now, you might be wondering if it is such a great place then also do tell us which is the right season to be there. Well, if it is about the winters you don’t have to think twice or ask anyone about the ideal time to be the guest of Auli. Just be there. But that doesn’t mean the remaining seasons are not worth it. To know more about what other seasons have to offer you and why you should be there. Have a look. 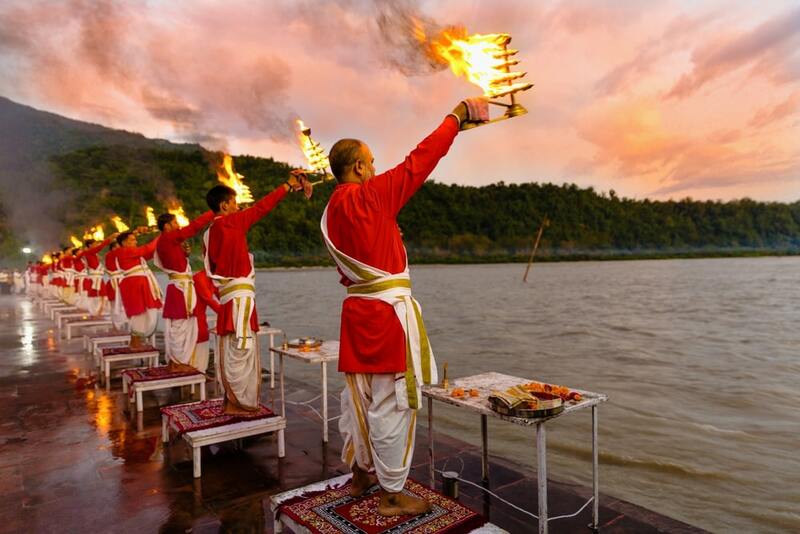 Enjoy the most refreshing climate you would have ever come across at any other place. 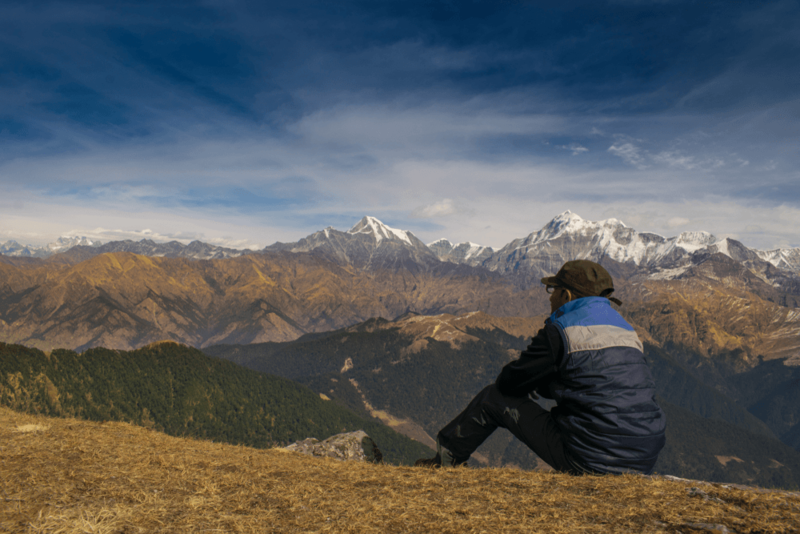 Auli in summers is one of the best times to pay a visit to when the temperature generally remains up to 20ᵒ and this amazing weather allows you to go for trekking or maybe just for sightseeing. 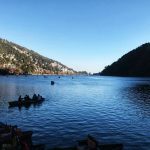 You can plan to visit the place anytime between April to June and if you actually plan a trip, do not miss visiting Nandprayag, Nanda Devi National Park, Kwani Bugyal, and Valley of flowers to name a few. The best part about visiting the place during this season is that you can click some insta-worthy pictures of vibrant-colored greenery, cool breeze, and most importantly the overall beauty of this picture-perfect destination is completely able to leave you spellbound. Forget about the torture of sun and take out a few days to be in this revitalizing environment. Monsoon is certainly one of my favorite seasons and you won’t believe what effect this place can bring on you during this time. 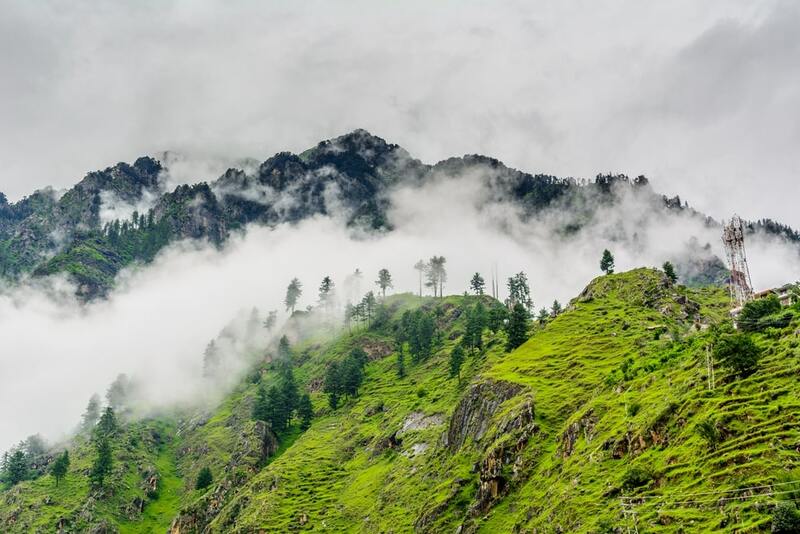 Since Auli receives moderate rainfall during the time of July-September, this makes visiting the place one of the perfect choices. The temperature keeps dancing between 10ᵒ-20ᵒ C that surely makes the place look so wonderful that you don’t want to leave it soon. Go on a long walk across the hill station with your friends or loved ones and experience the magic that it creates. But remember to be careful because the roads might get slippery due to the rainfall. Also, how about having a ride on the ropeway? 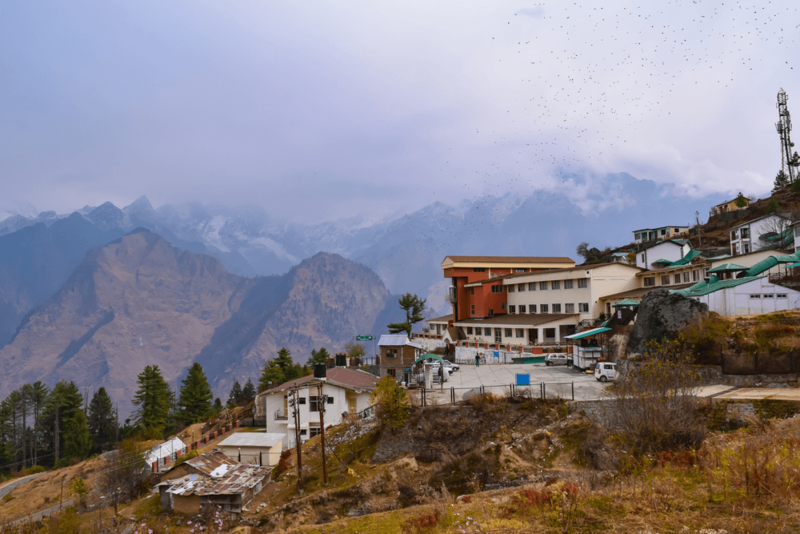 Auli allows you to go to Joshimath on a ropeway, which can be an incredible way to explore the place because the rains have already made the place look even fresh and greener. Winter is that time of the year when you can see a huge crowd moving towards Auli and the main reason for the same is the outstanding skiing opportunities that can only be enjoyed during this season. You need to plan a trip during December- February because only this period of time can allow you to enjoy the most unforgettable experience of your life. One should not miss witnessing the mesmerizing vistas of the surrounding peaks as well and this includes Duna Giri, Nanda Devi, and Kamet. Also, the cool breeze adds to its beauty by creating a perfect atmosphere all around and lets you enjoy the utter beauty of the place. 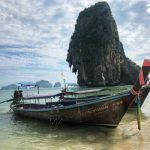 The temperature generally remains 5ᵒ to -1ᵒC that might be a bit challenging weather to cope up with yet makes the place an ideal option for all the nature buffs out there, honeymooners, and the trekking groups.